As a care home in Grimsby who provide palliative care, we often find the subject of dying one of the hardest to tackle with many families. For obvious reasons, having a conversation about losing your loved one can be incredibly emotive and one many wish to avoid. That’s why the work of charity Dying Matters and their Dying Matters week is so important. Dying Matters is a charity whose focus is to raise awareness about dying, death and bereavement. As something that will inevitably come to us all, it is still a surprisingly taboo subject. Dying Matters aim, especially within the awareness week, is to get people talking about death. This year’s focus being ‘Are We Ready?’ – do we have provisions in place for when we die? Will our loved ones be okay financially to cope with funeral costs? Have you made a living will? Have you put anything in place in regards to your palliative care should it be applicable? These are all issues we should very much be prepared for. But as is human nature, a lot of us tend to brush them under the carpet, hoping we wont have to face or tackle them. 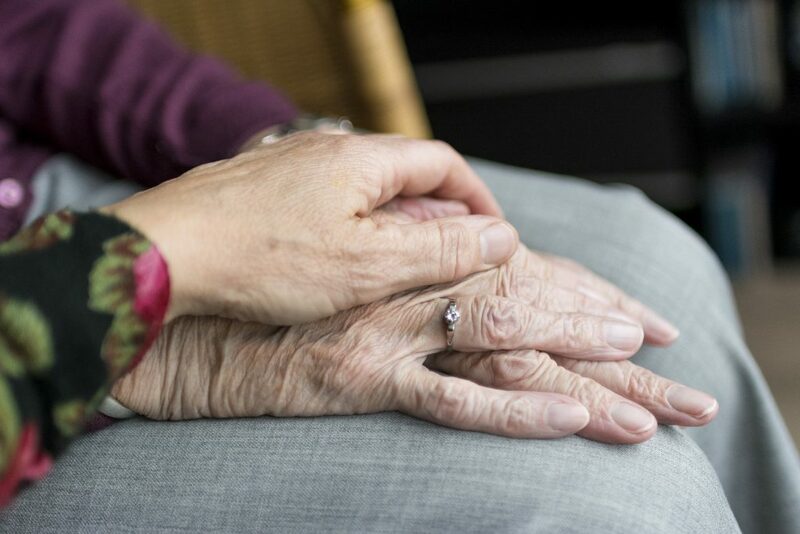 Palliative Care is a service provided within some care homes and hospices to ensure those with terminal illness are as comfortable as possible for the duration of their lives. A care plan is put in place to manage the pain and any other symptoms associated with your illness. Your palliative care can also incorporate other aspects as well as the physical. 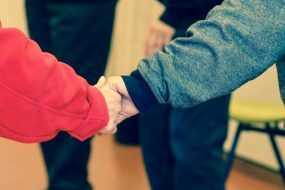 By taking a holistic approach we can focus on psychological, spiritual and social support for both you and your family/carers too. This means the focus of your care deals with you as a person and not just your illness. Waltham House Care Home, Grimsby work alongside you and your family and the relevant care agencies such a Macmillan and District nurses to make sure receive as much support as possible. 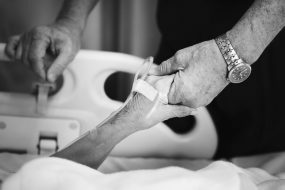 Why is Palliative Care and Dying Matters so important? The fact of the matter is, we are all going to die. What we need to make sure of is that we have the relevant provisions in place to ensure we die with the dignity and respect we deserve and as we wish. Taking control of the care you receive and how you spend your remaining time here is incredibly important. All too often we read about families left in distress because their loved ones didn’t receive the right level of care. With a robust palliative care plan in place this can where possible be avoided. It’s not easy to talk about death, but everybody deserves to die with dignity. If you or your loved one would like to visit Waltham House Care Home, Grimsby and have a chat with the team, then do not hesitate to get in touch. Contact us on 01472 827725 or send a message via our contact page. Making the decision to place an elderly relative or loved one in residential care can be very difficult. They themselves might not feel ready to make the transition and give up the independence they’ve cherished. As a carer, you might feel like you’ve let them down but this really is not the case. 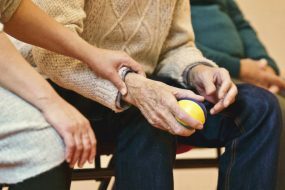 If you and your loved one have found yourself in a state of limbo, there could be a solution in the provision of day services for the elderly. Why choose Day Services for the Elderly? Before taking the leap into residential care, you may find that day services for the elderly are the perfect compromise. 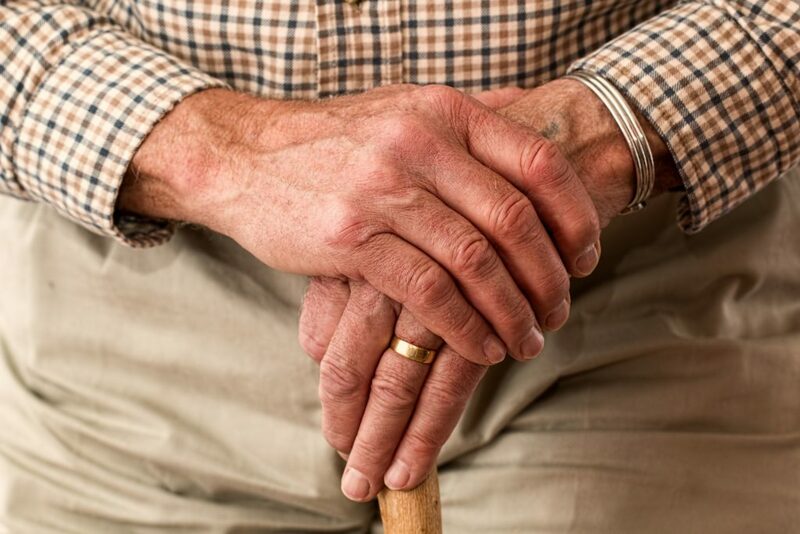 Day services can give you, the carer, the extra support you may require and help your loved one to continue living independently whilst benefitting from stimulation, companionship and care. What does Day Care consist of? Here at Waltham House Care Home, Grimsby, our day services consist of a varied programme of activities, entertainment and of course, the same fantastic level of care our residents receive on a daily basis. You can choose to take advantage of a full day service or just a couple of hours – whatever suits you and your loved one. Day services include meals and personal care if needed, in addition to a full fun-packed activities schedule including professional singers, exercise classes and more. You can read about all about it on our Day Services page. 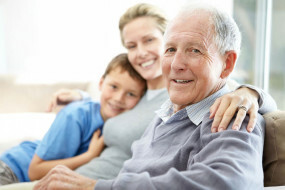 What are the benefits of Day Services for the Elderly? 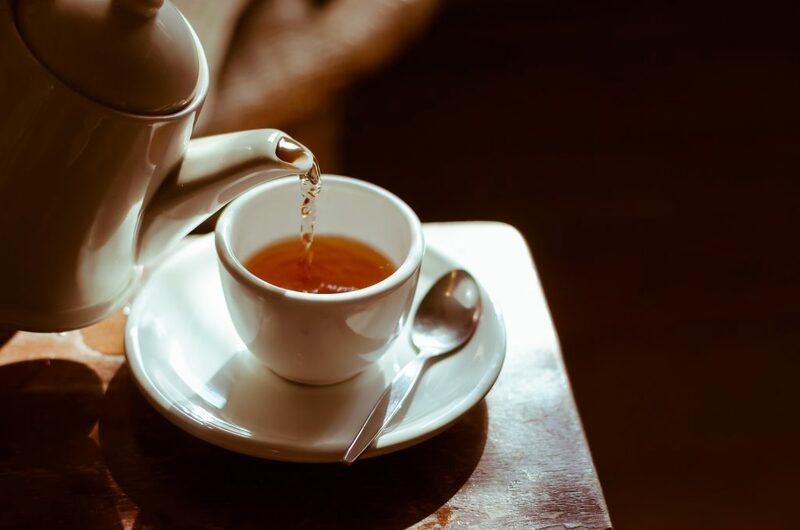 Not only do day services benefit you the carer by giving you respite but for the elderly, day services offer sometimes much needed companionship by enabling them to socialise with their peers, combatting the loneliness often felt by elderly people. Mental and physical stimulation through activity programmes, preserving their independence and even improving their quality of life. It’s important that as a carer you take care of yourself as well. You can read more about this on the Age UK website. 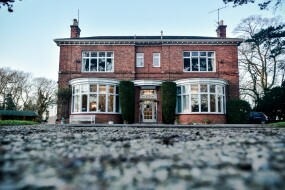 Waltham House Care Home, Grimsby, provides a full programme of day care services. If it’s something you think you and your loved one would like to look into then by all means, give us a call on 01472 827725 or visit or send a message via our contact us page. For many years it was thought within medical profession that nostalgia had a negative impact on people’s mental health. But after decades of research it has now been shown that nostalgia spaces actually have a beneficial effect. And no more so for than in Dementia Care. Nostalgia therapy, or Reminiscence therapy as it is often referred to is the practice of using physical prompts such as photographs, film footage, props, furniture and music. It has become common practice for a lot of care homes to create nostalgia spaces from a simple 1950s living room set up to whole high streets complete with bus stops or more recently a care home in Bradford have set up a train carriage featuring a trolley service and TVs that act as windows, displaying the passing scenery. What are the benefits of Nostalgia spaces? Research has shown that nostalgia spaces help improve mood, cognition and general behaviour. 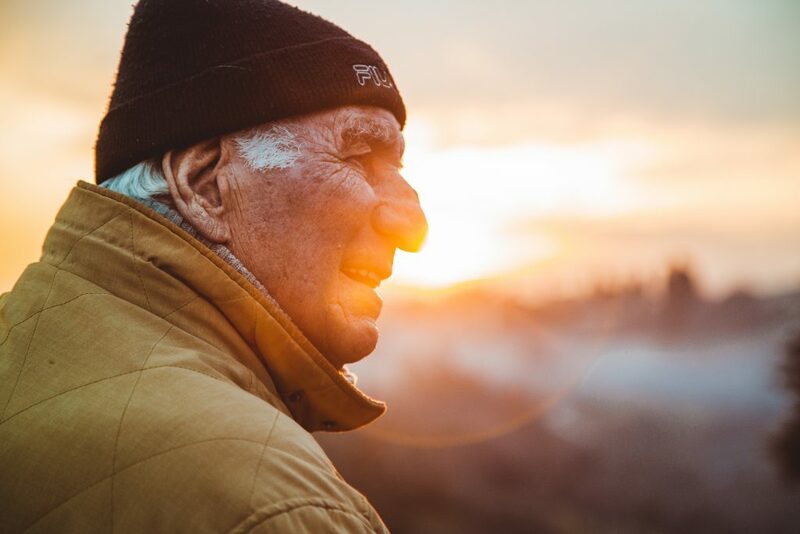 Because those with Dementia and Alzheimer’s will increasingly struggle with their short term memory, it’s thought that evoking past memories of happy times and places help elevate people’s moods and create a feeling of belonging and safety. Nostalgia spaces help bring about comfort. “Whether it’s a sunny day or calming decor, the environment around us has a real impact on our quality of life. This is especially true for people with dementia who may be experiencing sensory difficulties or may become confused in unfamiliar places. 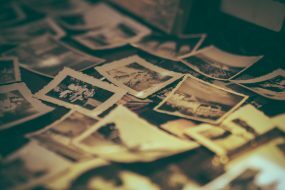 It might not always be possible to create large nostalgia spaces at home or in care facilities, but it is easy to create nostalgia prompts such as memory boxes or memory albums. Even CDs or playlists that bring back memories for your loved one will be beneficial to their mood. At Waltham House, we use dementia care mapping to further understand our residents meaning we can tailor their care. If you’d like to organise a visit or have a chat about the care we provide, you can call on 01472 827725 or via our contact page. March 25th sees the start of National Workouts and Wellbeing week. We all know that staying active is incredibly important for our physical and mental health. But when it comes to staying active in your later years the challenges can be a little more difficult to tackle. As we advance in years, mobility and flexibility can become lessened and we have to take these issues into consideration when thinking about our bodies and the way we move them. You might be thinking, why start now? But even the smallest increase of movement can be of huge benefit. A Swedish study showed that staying active was the number one contributor to longevity of life. Moving more helps elderly people stay independent for longer and the positive effects on mental health have been proven time and time again. As well as the benefits to physical and mental health, moving your body more can also help reduce the risks of conditions including Alzheimer’s and dementia. If your mobility or range of movement is reduced there are lots of low impact exercises and adjustments you can make to enable movement without causing pain or injury. If your legs are still in reasonable order, then a gentle walk is always a great starting place. It can be as small as walking round your living room a couple of times a day to venturing around your block and getting some fresh air. For those who prefer or need seated movement, some gentle arm stretches and movement really help to keep the blood pumping. The NHS website have some simple but effective exercises to try. These include light stretches, arm raises and neck rotations. Starting something new can often feel daunting, but the benefits of moving more are vast. At Waltham House we actively encourage all our residents to move more and run a regular programme of exercise that everyone is invited to join in with. One of the questions we’re often asked here at Waltham House, Care Home is “can Dementia can be prevented?” The simple answer is no. Factors such as genetics and age play a huge part in the development of dementia. But the good news is, there are lots of proactive things you can do to reduce the risk and help keep a healthy mind and body well into old age. The relationship between body and mind is never more important than in your senior years. Staying active and looking after yourself is the greatest gift you can give yourself. Don’t worry, we’re not suggesting for one minute you train for the next marathon or become a chess master. But by taking a few simple steps, your mind and body’s health can be improved dramatically. The smallest amount of movement in the body can be of great benefit. This could be a gentle walk around the garden, simply moving your feet and arms from a seated position or if you’re feeling a little more ambitious, swimming and yoga are great, low impact ways to keep the body moving. It’s certainly a big ask to expect anyone to change the habits of a lifetime, but healthy eating doesn’t have to be the shock to the system one might think. 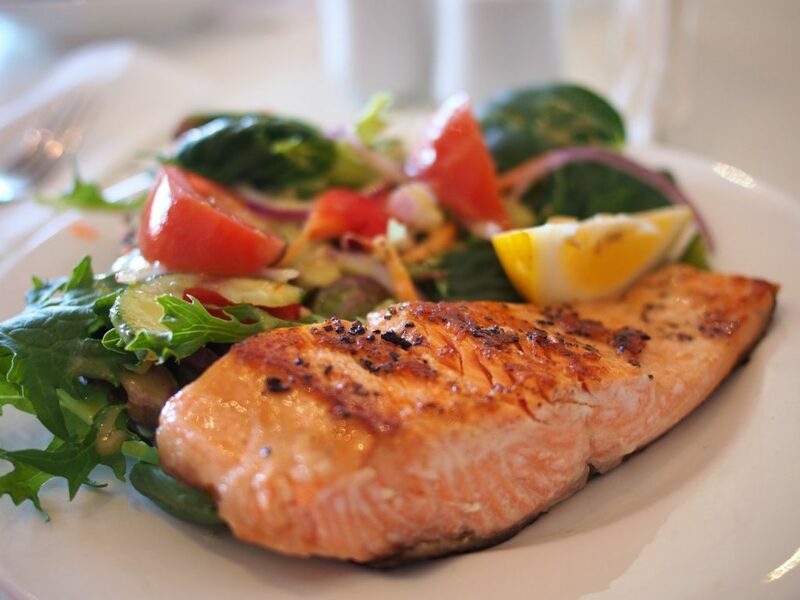 Eating a well balanced and nutritional diet is key to everyone’s health, regardless of age. Try adding an extra vegetable to your evening meal or reducing the number of sugars you take from two to one. It’s these small changes that will have the biggest impact. There’s no denying that keeping the mind active is one of the most important factors in combating dementia. 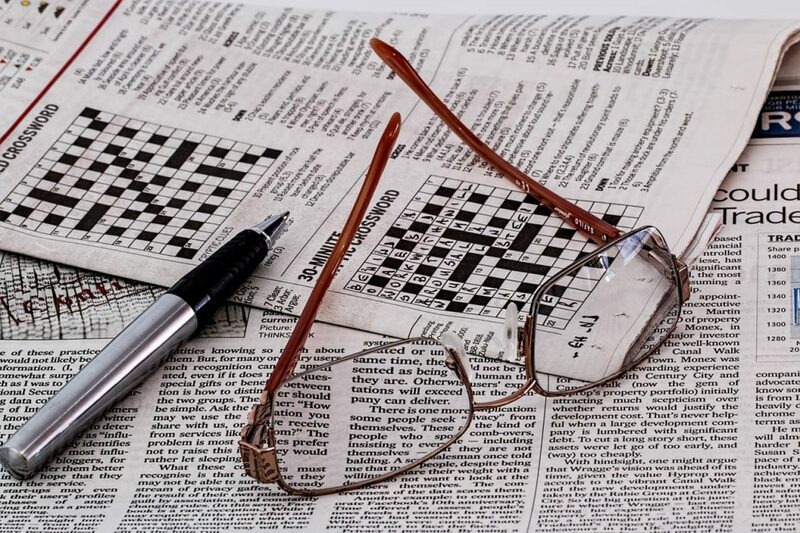 Reading daily is a great way to keep the cogs turning, as are crosswords and and word-searches. Why not ask the grandkids to show you some puzzle games on their mobile devices, they can often be much easier to use than you’d expect and are great fun! There are lots of other things you might want to consider to help reduce the risk of dementia. Having a healthy heart is key. As well as healthy eating and exercise, stopping smoking and reducing your alcohol intake are also vital. The NHS website has some great information on ways to help with this. Loneliness and lack of social interaction are often noted as contributing factors to dementia onset; did you know we offer day services for the elderly here at Waltham House, Grimsby? You can chose to drop by for a couple of hours or spend the day. Take part in our full programme of social and entertainment activities while meeting new people and staying active. With the cold weather upon us, we really need to take the time to think about the elderly and what we can do to help them. Whether that is making sure your elderly neighbour has enough supplies in case they are unable to get out for a few days. Or ensuring they are receiving their winter fuel allowance.